1. Incentive payments: Eligible health care providers and hospitals providing care to Medicaid and Medicare patients will be provided a financial incentive for transitioning to EHR software and for meeting what are known as EHR meaningful use guidelines. These guidelines are pre-specified benchmarks that can be tracked electronically and compared to national averages to determine if patient care is being improved. If the benchmarks are met and patient care is improved, incentive payments result. 2. Easier storage: Storing reams of paper is expensive, takes up extensive physical space, and can be difficult to access from storage when needed. Conversely, storing records electronically is relatively inexpensive, does not take up physical space, and can be quickly accessed when needed. 3. More efficient, coordinated, and improved medical care: EHR systems make it easier for health care providers from various settings to quickly and easily access information from each other. This helps to reduce redundant treatments and medical tests, avoid dangerous drug interactions when there are multiple prescribers, and speeds up treatment. As an example of family medicine EHR software, family practitioners can quickly and efficiently enter and monitor trends in vital signs (blood pressure, pulse), quickly order laboratory and diagnostic tests, and monitor trends in important biomarkers. This allows health care providers to identify problems quicker and treat them faster, with the goal of improving patient health outcomes. Pediatricians will also benefit from electronic medical records (EMR) software (as it is sometimes called) because it will allow for all of these features and will also allow for efficient tracking of immunization records and developmental growth chart data (e.g., height, weight, head circumference). 4. E-prescribing: Electronic prescribing allows health care providers to quickly send prescriptions to the pharmacy, check if the patient’s insurance will cover the suggested medication, and provide alerts about possible harmful medication interactions. 5. Other: Auto check-in saves time for patients and office staff, referrals can be made electronically and tracked easier, health maintenance reminders can be sent to patients, scheduling is improved, billing denials are reduced, reimbursement is faster, and much more. Just because family doctors have the ability to diagnose and treat patients doesn’t mean that they aren’t also vulnerable to the threat of injury or illness. In this infographic you’ll learn how susceptible doctors are to the threat of disability and how to prepare yourself financially should the unexpected occur. Visit AAFP Insurance for more information, today! 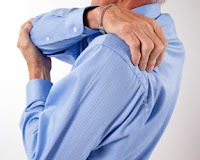 On 5/27/13, MedFriendly, LLC, published the most comprehensive online review of polymyalgia rheumatica, a painful condition of the muscles and joints that affects older people. In addition to being comprehensive (covering issues such as signs, symptoms, diagnosis, treatment, and prognosis) the entry is also written in an easy to understand format which will be helpful for older individuals and their families who are trying to learn about this condition. The polymyalgia rheumatica entry is the latest in hundreds of easy to understand entries available for free at MedFriendly.com. All entries on MedFriendly are written in an easy to understand format, with all complex terms defines within the same entry. This prevents the reader from needing to do extra research to understand what the writer is trying to convey. All entries are written on a single page, exposing the reader to fewer ads. Please share this link with others, bookmark MedFriendly and the MedFriendly Blog, and follow us on the MedFriendly Facebook and Twitter pages. Also, if you are looking for great healthcare discounts, be sure to check out the daily discounts and other items at the MedFriendly Market. 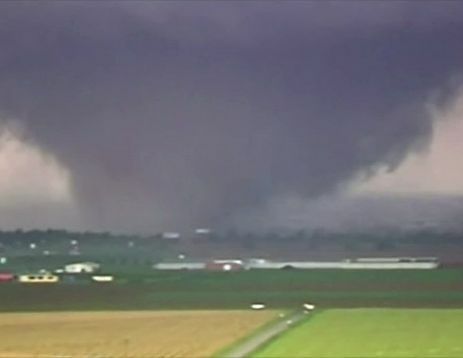 The tornadoes that struck the Oklahoma City area on 5/20/13 will be recorded as one of the worst disasters in U.S. history. The damage is almost indescribable. Thousands of homes and cars were destroyed. Buildings were also destroyed, including at least one elementary school. Many other schools were damaged along with at least one hospital. The situation remains fluid as of this writing, with 24 people killed, 9 of whom were children. In addition to those who died, there will be many survivors who are left to deal with serious medical injuries. Here is what we can expect based on similar tornado disasters in the past. Implementation of hospital disaster plans: All hospitals have disaster management plans, with leaders identified in various departments who will coordinate emergency care and response activities. These drills are practiced throughout the year so that the proper medical management guidelines are followed, proper rapid decisions are made, secondary teams of medical staff are well-rested, and other patients who are not tornado victims still receive medical care when disaster. In addition, stockpiled supplies and equipment will be used to serve the needs of disaster victims. Patients at damaged hospitals will need to be transferred to more secure locations. Neurological injuries in adults and children: Many of the injuries will involve damage to the brain, spinal cord, or nerves outside the brain and spinal cord, with the latter generally presenting in a delayed manner. These injuries typically occur due to falling or flying debris (e.g., concrete slabs, wood products, glass) but can also occur from being trapped in vehicles that are picked up and thrown and/or pelted with debris. The most common injuries will involve the head and bones. Traumatic brain injuries will likely be the leading cause of death. Examples of specific injuries will likely include skull fractures, scalp lacerations, crushing bone injuries, brain bleeds (some of which can compress the brain tissue), leakage of fluid that cushions the brain and spine, loss of oxygen to the brain, fractures of the bone surrounding the spinal cord, narrowing of the spinal canal, degloving injuries (removal of extensive areas of skin from the underlying tissue, severing the blood supply), nerve damage, wounds contaminated with soil and debris (e.g., wood, gravel), blunt trauma to the chest or abdomen, sprains, strains, and ligament damage. A ligament is a tough band of tissue that attaches to joint bones. Injuries will also occur during the search and recovery and cleanup phase. Injuries outside the brain and spinal cord may initially be overlooked due to medical staff tending to more life threatening matters. Emergency surgeries and treatment: Neurosurgeons will be critical to treating patients in the first 12 to 24 hours after the tornado strikes. Some patients may need to be resuscitated, stabilized, and transferred to other hospitals. Blood transfusions may also be needed. Surgeries will likely include placing drainage tubes in the brain to decrease swelling (edema) and blood accumulation, placing pressure monitors in the brain, removal of excessive brain bleeding, placement of a tube in the windpipe to assist breathing, placement of chest tubes to assist breathing due to lung damage, repairing fractures and lacerations, stopping fluid leakage, surgery to decompress the spinal cord, fusion of bones surrounding the spinal cord, placement of pins and rods to stabilize the spinal cord, and placement of skin grafts. Many patients will be placed in intensive care units. Serious to deadly fungal infections: As noted earlier, wound contamination is a serious problem in tornado related injuries. Within a few days, some patients may suffer fungal infections that can invade the soft tissue and can be deadly even after surgical and medication treatment. The fungus can come from soil, as was the case in Joplin, Missouri, in which five people died from Apophysomyces trapeziformis, a toxic fungal infection found in soil, decaying vegetation, and water containing living or formerly living materials (e.g., leaves). Ongoing care: In addition to many patients needing ongoing physical rehabilitation, the emotional impact of living through a tornado and its aftermath (e.g., personal property destruction) cannot be overstated. Many of the patients will be significantly traumatized emotionally and will need access to psychological counseling to address depression, anxiety, and/or anger. Centers for Disease Control and Prevention (CDC). (2013) Tornado-related fatalities--five states, southeastern United States, April 25-28, 2011. MMWR Morb Mortal Wkly Rep. 61(28):529-33. Chern JJ, Miller JH, Tubbs RS, Whisenhunt TR, Johnston JM, Wellons JC 3rd, Rozzelle CJ, Blount JP, Oakes WJ. (2011). Massive pediatric neurosurgical injuries and lessons learned following a tornado disaster in Alabama. J Neurosurg Pediatr. 8(6):588-92. Comstock RD, Mallonee S. (2005). Get off the bus: sound strategy for injury prevention during a tornado? Prehosp Disaster Med. 20(3):189-92. Kanter RK. (2012). 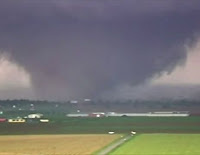 The 2011 Tuscaloosa tornado: integration of pediatric disaster services into regional systems of care. J Pediatr. 161(3):526-530. May BM, Hogan DE, Feighner KR.(2002). Impact of a tornado on a community hospital. J Am Osteopath Assoc. 102(4):225-8. Weinhold B. (2013). Rare fungal illness follows tornado. Environ Health Perspect.121(4):A116. Marijuana is the most commonly smoked illegal substance in many countries (Underner at al, 2013). Recent research in France has shown that the public views marijuana as having the highest perceived benefit for users (Reynaud et al., 2013) despite its effect on brain structure and thinking abilities remaining controversial (Cunha et al., 2013). 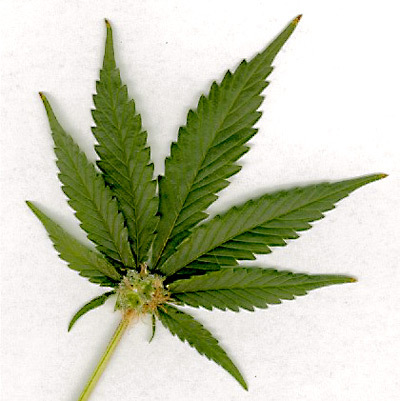 Smoking marijuana has a known negative impact on breathing functions (e.g., more breathing symptoms and development of acute bronchitis) due to the increased time that the smoke stays in the lungs as a result of the inhalation technique differing from that of tobacco inhalation (Underne et al., 2013). Bronchitis is a type of common lung disease characterized by increased mucus in the windpipe and bronchi (small airways). While marijuana use rapidly dilates the bronchi, chronic marijuana irritates the bronchi, inflames the airway, increases airway resistance, and alters the activity of macrophages in the alveoli that normally get rid of bacteria and fungi (Underner at al, 2013). 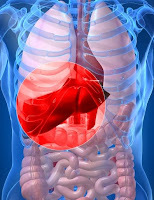 Macrophages are types of white blood cells that engulf and digest (eat) harmful substances in the body. The alveoli are balloon-like sacs in the lungs that air travels to. People are known to use marijuana as a way to cope with negative emotions, are more likely to use it in social situations (especially if they see others using it) than when alone, and use more behavioral than cognitive strategies to quit using it (Buckner et al, 2013). Marijuana is known to induce psychosis, in which a person loses touch with reality. However, in an interesting new study from Brazil, researchers found that patients who used marijuana with a first episode of psychosis had fewer structural brain abnormalities (better brain tissue preservation) and fewer problems with aspects of attention, concentration , and executive functioning (carrying out a speeded verbal searching strategy) compared to other psychotic patients who did not report a history of marijuana use (Ciunha et al., 2013, 2013). In a process known as mulling, some people add tobacco to marijuana (technically cannabis resin) for its consumption, which results in significant nicotine exposure (Belanger et al., 2013). One cigarette containing tobacco and cannabis resin is more harmful than a cigarette only containing tobacco (Underner et al., 2013). Recent case study evidence shows that the anti-psychotic medication, Abilify, can completely stop such psychotic reactions after marijuana consumption but that it has no effect on smoking level (Rolland et al., 2013). Evidence continues to emerge that marijuana is a gateway drug. For example, recreational Ecstasy use is partially predicted by early marijuana use although other factors were found to play a more important role such as knowing people who use Ecstasy or attendance at dance music events (Smirnov et al., 2013). Ecstasy is an illegal drug known for causing distinct social-emotional effects. Research has also emerged showing that patients who ingest large quantities of seeds from the Convolvulaceae family (also known as bindweed or early morning glory) are frequently known to use marijuana (Juszczak and Swiergiel, 2013. These seeds are known to have significant psychoactive effects when consumed in large quantities. Some people abuse synthetic marijuana (known as synthetic cannabinoid) which is a designer drug created from natural herbs that imitates the effects of marijuana when consumed. A recent case study reported on a young man with schizophrenia (a type of psychotic disorder) who developed the first known case of severe and life-threatening catatonia rapidly after synthetic marijuana use that was successfully treated with ECT (electrconvulsive therapy) after a failed trial of benzodiazapines (a type of anti-anxiety medication) (Leibu et al., 2013). Catatonia is a condition characterized by a lack of movement, rigid muscles, and agitation. Electroconvulsive therapy is the process of causing convulsions (abnormal, severe, involuntary muscle movements) by passing controlled levels of electricity through the brain. In the aforementioned case study, non-adherence to anti-psychotic medication in addition to synthetic marijauana use was believed to cause the rapid onset of catatonia. Recent research has shown that marijuana is one of the most commonly abuse substances among HIV-infected persons entering jail. In such individuals, use of marijuana (and other drugs) is associated with not having an HIV provider, not being prescribed antiretroviral therapy (medications that treat HIV), and low levels of antiretroviral medication adherence if they were prescribed the medication (Chitsaz et al., 2013). For these reasons and others, attempts to detect cannabis dependence is important in medical settings. 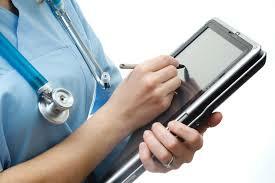 This generally involves the use of self-report scales as a non-invasive screening tool. However, one such measure, the Severity of Dependence Scale, was not recommended for use as a screening instrument due to difficulties differentiating between those with a marijuana dependence versus non-dependence (van der Pol et al, 2013). When detected, clinicians are encouraged to offer patients support in quitting marijuana smoking to bring about important benefits in lung functioning (Underner at al., 2013) and other health benefits. Bélanger RE, Marclay F, Berchtold A, Saugy M, Cornuz J, Suris JC. (2013). To What Extent Does Adding Tobacco to Cannabis Expose Young Users to Nicotine? Nicotine Tob Res. (Epub). Buckner JD, Zvolensky MJ, Ecker AH. (2013). Cannabis use during a voluntary quit attempt: An analysis from ecological momentary assessment. Drug Alcohol Depend. Epub. Chitsaz E, Meyer JP, Krishnan A, Springer SA, Marcus R, Zaller N, Jordan AO, Lincoln T, Flanigan TP, Porterfield J, Altice FL.(2013). Contribution of Substance Use Disorders on HIV Treatment Outcomes and Antiretroviral Medication Adherence Among HIV-Infected Persons Entering Jail. AIDS Behav. (Epub). Cunha PJ, Rosa PG, Ayres AD, Duran FL, Santos LC, Scazufca M, Menezes PR, Dos Santos B, Murray RM, Crippa JA, Busatto GF, Schaufelberger MS. (2013). Cannabis use, cognition and brain structure in first-episode psychosis. Schizophr Res. (Epub). Juszczak GR, Swiergiel AH. Recreational use of D-lysergamide from the seeds of Argyreia nervosa, Ipomoea tricolor, Ipomoea violacea, and Ipomoea purpurea in Poland.(2013). J Psychoactive Drugs. 45(1):79-93. Leibu E, Garakani A, McGonigle DP, Liebman LS, Loh D, Bryson EO, Kellner CH. (2013). Electroconvulsive Therapy (ECT) for Catatonia in a Patient With Schizophrenia and Synthetic Cannabinoid Abuse: A Case Report. J ECT. (Epub). Reynaud M, Luquiens A, Aubin HJ, Talon C, Bourgain C. (2013). Quantitative damage-benefit evaluation of drug effects: major discrepancies between the general population, users and experts. J Psychopharmacol. (Epub). Rolland B, Geoffroy PA, Jardri R, Cottencin O. (2013). Aripiprazole for treating cannabis-induced psychotic symptoms in ultrahigh-risk individuals. Clin Neuropharmacol. 36(3):98-9. Smirnov A, Najman JM, Hayatbakhsh R, Wells H, Legosz M, Kemp R. (2013). Young adults' recreational social environment as a predictor of Ecstasy use initiation: findings of a population-based prospective study. Addiction. 2013. (Epub). Underner M, Urban T, Perriot J, Peiffer G, Meurice JC. (2013). Cannabis use and impairment of respiratory function. Rev Mal Respir. 30(4):272-85.
van der Pol P, Liebregts N, de Graaf R, Korf DJ, van den Brink W, van Laar M. (2013). Reliability and validity of the Severity of Dependence Scale for detecting cannabis dependence in frequent cannabis users. Int J Methods Psychiatr Res. (Epub). In honor of Mother’s Day, I decided to break the mold of this blog a bit and put up my favorite recipe from mom. I call it Kathy’s Kahlua Cake. It is by far, the BEST cake I have eaten in my life which I why I want to make sure I make a permanent record of the recipe. When it comes out, it looks like the picture to the left. It is delicious, moist, and great to eat morning, noon, and night. Without further ado, here is the recipe. Mix all ingredients together in a large mixing bowl, except for the walnuts. Blend in the walnuts at the end. 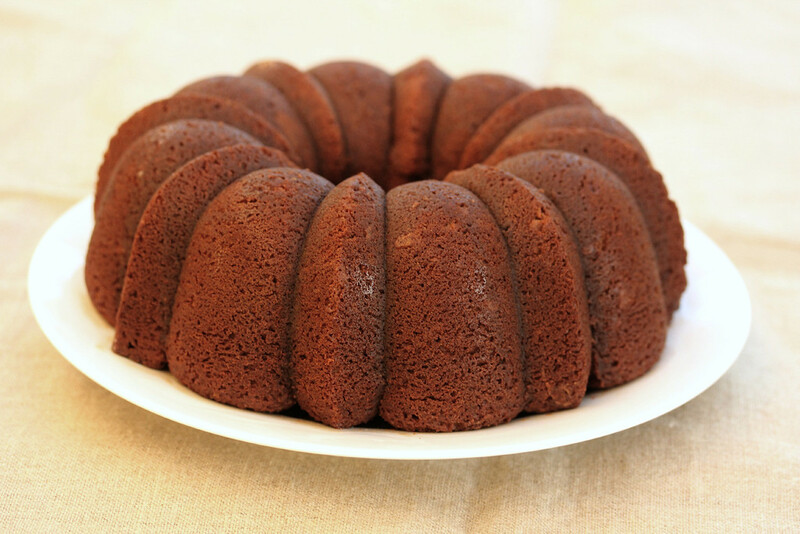 Grease a bundt pan thoroughly. Heat at 350 degrees for 45 minutes. Test with a toothpick and increase baking time slightly if the toothpick does not come out clean. Remove cake from oven, place plastic wrap over the open side, and let cool for 10 minutes. When you see too much condensation on the plastic wrap, remove it and place a new plastic wrap on it. Do this about two more times in the first hour. This is the secret aspect to making the cake so moist. ENJOY! Finding a healthy snack to put in your child’s lunch bag can be a challenge. After all, it is very easy to just throw in a bag of potato chips, a candy bar, or a lollipop and most children will be perfectly happy with that. But these days, parents are more health conscious and want to try other alternatives. While nuts are healthy and tasty, these are problematic in school settings because someone usually has a significant peanut or tree nut allergy. This topic was mentioned last night on the MedFriendly Facebook page where one person suggested raisins and banana chips. Raisins are a good choice but they need to be packed properly so they do not dry out. Some also come in very small boxes that will still leave the child hungry. Also, in my opinion, yellow raisins are much tastier than black raisins, yet I never see them in the small boxes. One could always put them in a baggy though with a twist. Banana chips are definitely tasty and they are made from fruit but they contain a high level of saturated fat. This is typically due to coconut oil. This can be bad if the oil is partially hydrogenated but good if it is extra virgin coconut oil (non-hydrogenated). The problem is that most labels don’t tell you which type of oil was used. 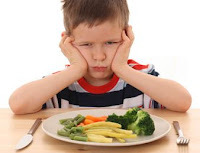 Some websites which have discussed this topic give choices that are clearly very healthy such as bean dip and broccoli bites, but… seriously, how many 3rd graders really wants to eat bean dip or broccoli bites? Not many. Some suggest making homemade snacks as opposed to relaying on manufactured brands. But most parents don’t have time to make home made products such as fresh granola and are looking for something quick and easy. Some sites suggest making kabobs out of fresh fruit but that runs the risk of children hurting someone with the left over skewer sticks. After doing some thinking and reading, I’ve listed my top 7 quick and easy choices for healthy lunch snacks that most children will actually eat. If you have others feel free to post them in the comment section. 1. OCEAN SPRAY CRAISINS: Dovetailing off the raisin suggestion above, Craisins are a delicious healthy snack most kids will eat. They common in many different fruity flavors and have a candy like sweet taste while remaining healthy. Simply place in a small plastic bag and close with a twist tie. 2. ALL NATURAL FRUIT SNACKS: Most kids love gummies and related fruit snacks. The hard part is finding ones with all natural ingredients. All natural fruit snacks are usually found in warehouse club stores or online here. 3. VEGGIE CHIPS: Many children will actually enjoy veggie chips by having them focus more on the color than the taste. They are very tasty and this is coming from someone who does not usually like many vegetables. 4. APPLE SAUCE: An oldie but a goodie. With so many options and flavors (e.g., pear apple sauce), most children will find an applesauce they like. The tricky part can be finding all natural applesauce but it is out there. A recent twist is making it in a squeezable pouch form. 5. MEAT JERKY: All natural and organic beef jerky is a tasty treat for kids who want something besides fruit and veggies. If you don’t want to give them red meat, try the turkey jerky version. 6. CLIF BARS: These are organic energy/protein bars, available in numerous flavors. 7. KASHI PRODUCTS: Available in most stores, Kashi sells a variety of healthy but tasty food products, including cookies and brownies that most children will enjoy. The company even makes various snack chips. Many years ago, I was searching for a water filter. I wanted something that worked, was convenient, affordable, and not a hassle to install. I did not want a water filter that I had to fill and place in the refrigerator because a) it takes up a lot of space, b) it is annoying to have to keep refilling it, and c) it takes a lot of time for the water to filter through the tank to get filtered water. There were small devices for sale that fit on the end of a faucet for filtering but they seemed too small to me to get adequate filtering done. Recently, I underwent a kitchen remodel and had to decide if I wanted to change to an under the sink filtration system but I decided against this because one or more of the following issues eventually arose during product reviews a) various reports of installation difficulties, b) high cost, c) taking up storage space under the sink, d) the risk of a leak, e) no gold standard product, and/or f) I would probably need to hire someone to install it because I am not particularly handy. I also opted against a water filter that is part of the refrigerator because going without it saves money on the refrigerator, adds space to the refrigerator, and cuts down the risk and cost associated with filtration failure or leaks. Ultimately, I decided to stick with the water filter that I have been using for about 10 years and could not be happier with. 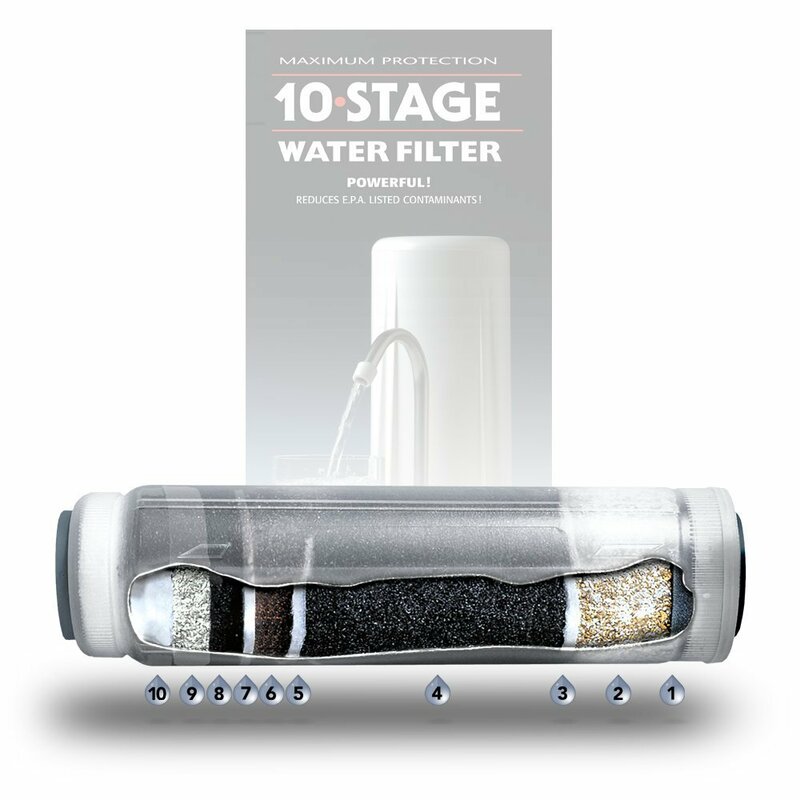 That product is the New Wave Enviro Premium 10 Stage Water Filter System. There are several reasons why I strongly endorse this product, described below. 1. 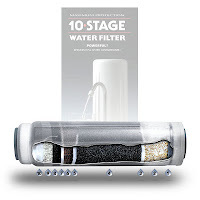 IT WORKS: I love the unique 10-stage filtration system of this product which makes you feel very comfortable that impurities are being removed. The water always tastes great to everyone in the family, including the children. No bad odors at all with this filter. The replaceable filter cartridge is transparent and so when you remove it or replace it you can actually see the 10 layers of filtration. This is accompanied by a nice diagram on the box which tells you exactly what each of these 10 layers do. Impurities removed include pesticides, herbicides, PCB's, lead, cadmium, organic arsenic, asbestos, micro-organisms, and dozens of other lesser known organic contaminants. You also can have confidence that a product works if the manufacturer provides an unconditional money back guarantee (for 30 days) and a one year warranty, as is the case for this product. You don’t have to take my word for it though. This filter has a 4.5/5 star rating on Amazon.com based on 123 reviews at the time this review was written. 2. IT’S CONVENIENT AND EASY TO INSTALL: One of my favorite things about this product is that it is simple to install, replace the cartridge, and use. All you do is loosen a screw on the bottom of the unit, slide the cartridge in, close it up, attach the connection directly to the facet, and pull out a little pin on the side of the faucet when you want the water to run through the filter. Simple as that and you never have to worry about refilling anything. The product sits on the sink without taking up a lot of space but if you want to actually mount this product under your sink, conversion kits are available to allow you to do this. The water comes out very easily from the dispenser and I do not have to worry about water spilling to the floor every time I want a drink, which invariable happens with filters you keep in the refrigerator. 3. IT’S AFFORDABLE: Prices vary on this product but it can regularly be found on Amazon.com for less than $100 ($80.38 at the time of this writing). That is simply a steal when you consider that the filter works for a year, filtering 1500 gallons a year. A gallon of bottled water at the grocery stores is about $3.00. That is a cost of about $4500 a year for 1500 gallons. Thus, you are saving over $4400 just by purchase this filter. A replacement filter (only needed once a year) only costs $49.99. Overall, this filter more than pays for itself and I highly recommend it. After someone dies, there are generally three options of what to do with a body: bury it under ground, entomb it in a mausoleum, or cremate it. Much less frequent options also exist such as cryogenic freezing, freeze drying, mummification, resomation (chemically dissolving the tissues but leaving the bones behind to be pulverized), and plastination (preserving the body in semi-recognizable form for education and display). 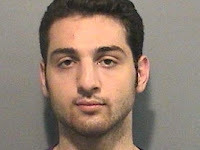 Boston Marathon bomber, Tamerlan Tsarnaev, is reportedly being refused a traditional burial, particularly in Cambridge Massachusetts, because it would be considered disrespectful to the victims of the bombing who are buried there. One funeral director has gone on record saying that there is probably no cemetery in the U.S. who would be willing to bury him due to fear of reprisals and lost business. After all, would you want to be buried in the same cemetery as a person who committed an act of terrorism against the U.S.? Nope. I believe there is a very simple solution to this problem: he should be cremated with his ashes given to his family or disposed of somewhere if they do not want them. The opposition to cremation in this case presented in the media according to Muslim scholars does not make any sense to me. Specifically, the argument is that he should not be cremated because he was Muslim and that cremation is against the Muslim religion because it desecrates the body. Hold on a second. This is a guy who literally had a bomb strapped to his chest when he was killed, meaning he was ready to BLOW HIMSELF UP if need be. Similarly, the 9-11 bombers also followed radical Islam and incinerated themselves in airplane attacks. These are each examples of a much worse form of bodily desecration than a controlled cremation. Thus, the logic in dealing with these cases is very simple: if you are willing to desecrate your body in a terrorist attack against the U.S., then expect to be cremated if you die trying but your body still remains behind and no cemetery wants you. There should be a federal law that allows for this (whether you are a U.S. citizen or not) especially if you incinerated and blew up others. In Utah, it was recently announced that Ricardo Portillo was killed due to a brain injury suffered after being punched in the face a week prior by a 17-year-old soccer player who was upset at being issued a penalty in the game. Unfortunately, refereeing can sometimes be a very dangerous activity. Here are 9 other examples highlighting the medical dangers of being a referee, umpire, or athletics official. As you will see, these types of deaths are unfortunately not new. 1. 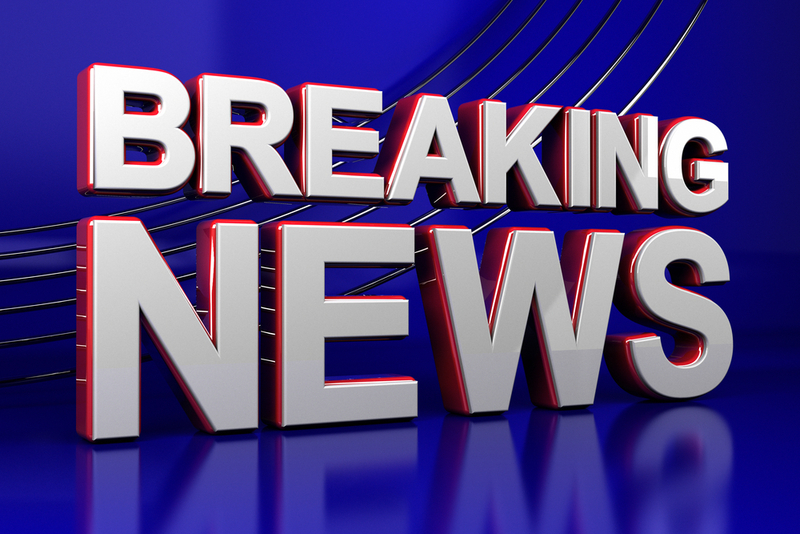 In an eerily similar situation, another soccer referee (Richard Nieuwenhuizen) was killed by three teenage soccer players (ages 15, 16, and 16) who attacked him with punches and kick during a game. 2. In 2012, soccer referee, Isaac Mbofana, was bludgeoned to death with a log by a fan after making an off sides call during a match. 3. In 2012, a 75-year-old German track and field official (Dieter Schmidt) died when a javelin struck him in the throat as he measured the throw of a competitor. 4. In 2010, a Swedish referee, a 62-year-old ice hockey referee was killed when hit in the back of the head/neck by a hockey puck. 5. In 1998, a 33-year-old basketball referee, Greg Vaughn, was beaten to death over a bad call. 6. In 1982, boxing referee, Richard Green committed suicide months after refereeing a match in which a South Korean Boxer named Duk Koo Kim was killed by Ray "Boom Boom" Mancini after a barrage of punches were unleashed in the third round, followed by devastating punches as the 4th round began. Most people believe the referee committed suicide due to feelings of guilt about the death in the ring, but there is no definitive evidence to prove this. 7. In 1909, baseball umpire John Donaldson was killed when a foul tip hit him in the nose causing a blood clot on the brain. 8. In 1906, an umpire was killed by a lightning strike shortly after a baseball game ended. 9. In 1899, an 18-year-old baseball umpire (Frank McCoy) was killed by 19-year-old Same Powell after being struck in the head with a baseball bat after a disputed call. When I first heard of the tragic accidental shooting death earlier this week of a 2-year-old girl by her 5-year-old brother, at first I thought it was because some adult left their gun out and was not supervising the children properly. Not too many things surprise me anymore but this time I was surprised when I found out that poor supervision was only part of the issue and that the 5-year-old was shooting a rifle that was given to him as a present (at age 4). Not only that, but it is reportedly not an uncommon practice in the area of Kentucky where this death occurred for guns to be given as presents to children. Real guns are actually legally marketed for children in the U.S., such as those made by Keystone Sporting Arms of Pennsylvania. This company sells a rifle called Crickett, which is marketed as “My First Rifle” complete with an associated picture of a giant Crickett that looks like a smiling Jimminy Crickett with a gun. This is the exact gun that the 5-year-old child used when shooting his sister. There is another such youth gun called the Chipmunk, which again plays off of kid-friendly carton themes such as Alvin and the Chipmunks. The company posts no suggested age ranges for the use of their guns by children but there are age ranges posted for Legos, puzzles, and an untold series of toys. But a gun is an exception? Matters get even worse in my opinion because while it is illegal for a child to purchase a firearm in the U.S., it is not illegal for an adult to give a child a rifle as a present. Apparently, this high level of permissiveness is culturally sanctioned based on the logic that children are expected to b e taught how to hunt and use a gun from an early age. In other words, it’s American tradition. But even if there was an argument to be made for gun use in youth, under what logic would that process begin at age 4 or 5? Children at that age are not even recommended to use a volcano making kit. But giving them a gun is ok? At the 4 to 5 age range, logical thought is not well-developed and many children this age have difficulty distinguishing between make believe and reality. Most do not yet understand the concept of death. As such, children should be playing with blocks, stuffed animals, dolls, and 25-piece puzzles at this age, not .22 caliber guns. 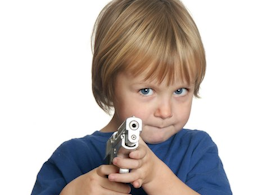 The bottom line is that selling real guns specifically for use by children should be illegal. This is a significant child health issue and will require legislation to make it a reality. The only way it will happen though is by contacting your legislators and state governor. While people can say that more children die playing sports than from a child using a gun, the only purpose of a gun is to cause damage and/or death, which is not the case for any sport. 1. Thousands of kids hurt yearly on amusement rides: From carousels to roller coasters, part of summer fun for many kids is a trip to the local carnival or a nearby amusement park. But experts are warning parents their children need to be supervised on rides because of the risk of injuries. 2. Justice Department to appeal judge's Plan B order: U.S. Department of Justice officials have filed notice that they will appeal a federal judge's order requiring the Food and Drug Administration to make the so-called "morning after" pill available without a prescription to all women without age or certain sales restrictions. 3 Women's Groups Decry Appeal on Morning After Pill: The Obama administration's decision to appeal a court order lifting age limits on purchasers of the morning-after pill set off a storm of criticism from reproductive rights groups, who denounced it as politically motivated and a step backward for women's health. 4. Vermont woman reveals new face after transplant: A Vermont woman revealed her new face Wednesday, six years after her ex-husband disfigured her by dousing her with industrial-strength lye, and said she went through "what some may call hell" but has found a way to be happy. 5. China reports latest bird flu death, toll rises to 27: A 55-year-old man in central China has died from a new strain of bird flu, bringing to 27 the number of deaths from the mysterious H7N9 virus, state news agency Xinhua said on Thursday. 6. Saudi Arabia says five dead from new SARS-like virus: Saudi Arabia said five more people have died of a deadly new virus from the same family as SARS, and two other people were in intensive care. 7. Scientists Decode "Molecular Chatter" That Makes Cancer Cells Spread: For the first time, scientists in the US have decoded the "molecular chatter" that makes cancer cells more aggressive and more likely to travel and set up tumors in other parts of the body (metastasize). The discovery came about as a result of bringing together specialists in cancer development with specialists in wound healing. 8. Who’s Scarfing Down the Added Sugar in U.S.? Mostly Young Men: Young U.S. adults are consuming more added sugars in their food and drinks than older — and apparently wiser — folks, according to a new government report. 9. UK police to give dementia patients GPS tracking devices: A British police force is hoping to save time and money by giving a few dementia patients GPS tracking devices, a technique already used by health and welfare agencies but condemned by some campaigners as "barbaric." 10. Study: Food, skin allergies increasing in children: Parents are reporting more skin and food allergies in their children, a big government survey found. 1. FDA approves morning-after pill without prescription for girls 15 and older: The U.S. Food and Drug Administration announced Tuesday that it approved the availability of the Plan B One-Step emergency contraception pill without a prescription for women 15 and older. 2. More US babies die day they are born than any industrialized country, report shows: The US is a worse place for newborns than 68 other countries, including Egypt, Turkey and Peru, according to a report released Tuesday by Save the Children. 3. Two doses of HPV vaccine may be just as effective as three, study shows: Doctors suspect the high cost and inconvenience associated with the vaccine, which consist of three shots given over the course of six months, may be preventing women and young girls from receiving it. 4. Boston Marathon bomb amputees offered prosthetics free of cost: A trade group representing makers of artificial limbs on Tuesday promised to provide prosthetics free of cost to the estimated 20 to 25 victims of the Boston Marathon bombings who underwent amputations. 5. Toddler is Youngest to Ever Get Lab-Made Windpipe: A 2-year-old girl born without a windpipe now has a new one grown from her own stem cells, the youngest patient in the world to benefit from the experimental treatment. 6. Monster sues San Francisco city attorney over energy drinks probe: Monster Beverage Corp has sued San Francisco's city attorney over an investigation the city launched last year into the safety and marketing of Monster energy drinks. 7. Schizophrenia May Be Diagnosed By Testing Nerve Cells From The Nose: Collecting neurons from the nose could be a fast way to test for schizophrenia, a debilitating mental illness that is often difficult to diagnose. 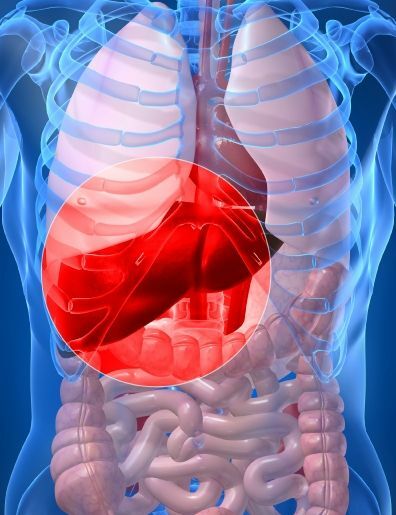 This was the finding of a new study led by researchers from Tel Aviv University (TAU) in Israel. 8. Women Who Smoke More Likely to Get Colon Cancer Than Men: Smoking’s connection to cancer is well-established. Now, researchers say cigarettes increase the odds for developing colon cancer, especially for women. 9. Mediterranean diet may be best for memory, cognitive skills: Chowing down on foods heavy in omega-3 fatty acids and laying off saturated fats, meat and dairy may be best for your memory retention and cognitive abilities.